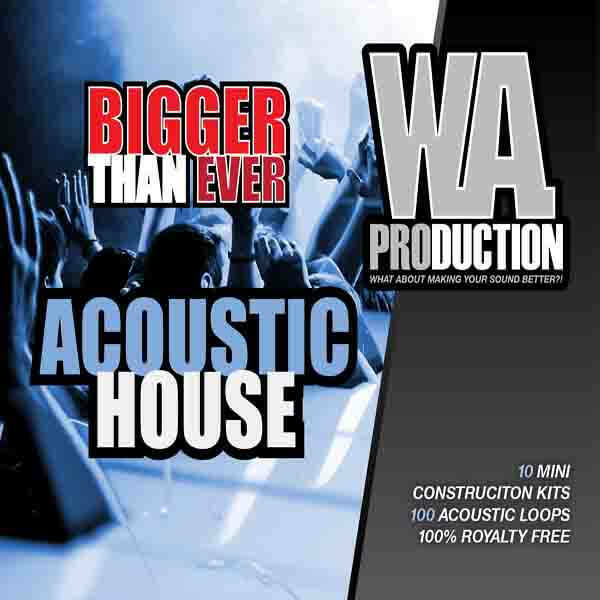 ‘Bigger Than Ever: Acoustic House’ is a powerful pack that brings you the sounds of real acoustic instruments such as piano, guitar, strings, brass, trumpet, acoustic drums and more, tailored for use in House, EDM, Progressive and more. 10 Mini Construction Kits are provided at 128 BPM. Both sidechained and non-sidechained loops are included to give you freedom while mixing. The 10 Mini Construction Kits allow you to mix and match the individual stems to create something completely new and fresh. You’ll find guitars, bass guitars, orchestral instruments (with a variety of articulations), full and half-time drum loops and fills and tons of piano variations.